Freeing millions in one mustachioed swoop from the shackles of taking the bus, popular ride-sharing service Lyft is debuting in 24 new cities and towns across the US today. 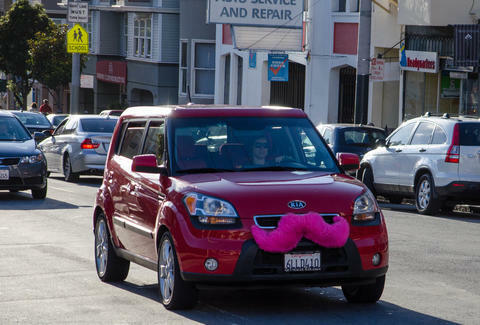 Among the cities included are Louisville, Ann Arbor, Fresno, Jacksonville, and Buffalo, bringing Lyft's total coverage to 60 markets nationwide. To celebrate the 4/24 campaign, the company's also giving 10% off to its seasoned users and offering FREE rides for two weeks in its new locations. Find out if your town is one of the lucky 24 by watching this clever (albeit, seemingly never-ending) video. Or by just clicking here.